If you are tired of the measly results that you keep getting with your AR-15, then the 300 AAC Blackout is just the round for you. 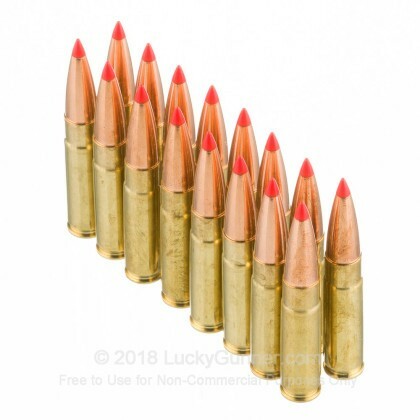 With only a few barrel modifications, this amazing round has the power and energy you expect out of 30 caliber rounds but still fires out of the same rifle you love so much. 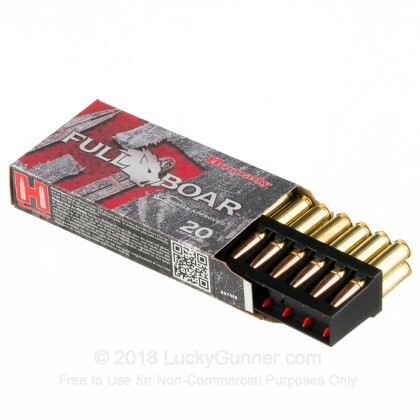 Whether you are looking for something to hunt, defend your family, compete in a match, or plink around with, the 300 AAC Blackout is perfect for you. When you want something with incredible reliability, accuracy, and efficacy, Hornady is the perfect company for you. Founded shortly after the end of World War Two, Hornady has been dedicated to making incredible ammunition for America since day one. 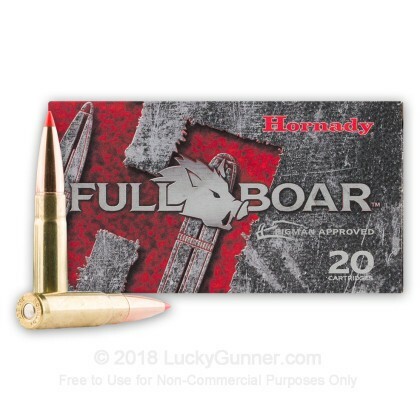 Firing at 2350 feet per second, these 110 grain, GMX, Hornady Full Boar, brass cased, boxer primed rounds have phenomenal expansion and fantastic accuracy and are designed specifically to give you the optimum experience when boar hunting. Killed two pigs around 150lb each. Neck shot both. Dropped dead as a door nail. 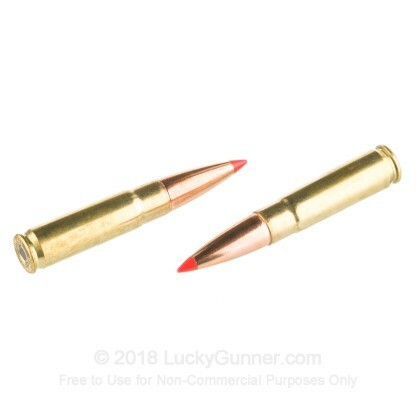 Found my new favorite hunting ammo. Thanks Hornady! It does the job on hogs. Hopefully as good on deer and varmints. It's all i will use from now on. Q: What is the minimum velocity needed for the GMX bullet to expand? A: Hi Christopher, Thanks for your question! 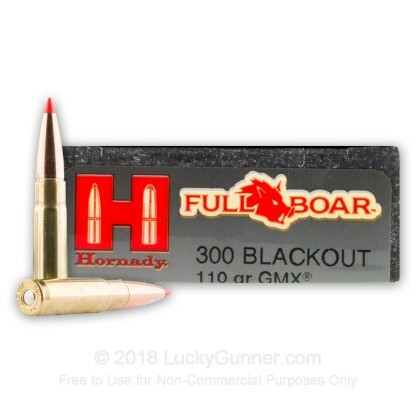 Hornady states that GMX bullets require at least 2000 fps at impact for proper expansion. 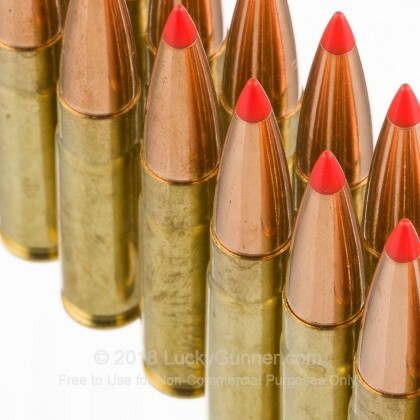 However, these Hornady .300 Blackout rounds fire at 2350 feet per second. There will be no issues with these in the expansion department. They will have phenomenal expansion and fantastic accuracy to meet all of your hunting needs.